1.High Quality Seat Covers,pure handmade, ensure the quality and workmanship of fine. 2.Easy to Clean Machine washable, Air dry,Clean and breathable,comfortable and pleasant. 3.Sustains your automobile interior upholstery. 4.Universal application fits almost all seats ( Cars/Trucks/Vans),except for SUV. 5.Helps Protect a Nice Seat or Disguise an Old One. 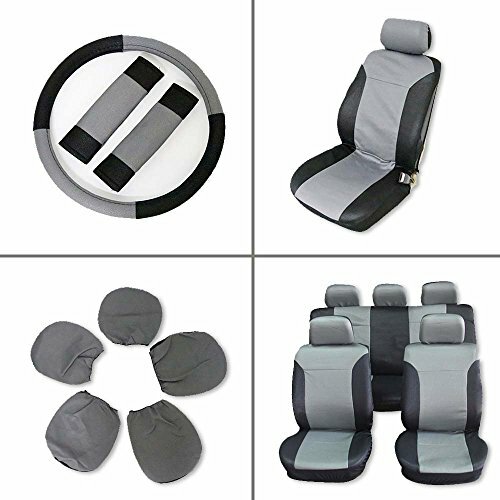 6.Full Set Seat Covers with Accessories. 7.the Rear Seat Covers with zipper.